The return of the Thursday demonstrations to Vienna’s streets last October heralded a reawakening of Austrian protest culture. Between climate change strikes and marches against racism, the capital has been very lively of late. And on stage, a new wave of starkly political theater is trying to make sense of the current age of far-right populism. Alles kann passieren (Anything Can Happen) is, as Falter editor in chief Florian Klenk said before Friday’s performance (Mar 15) at the Burgtheater, not a play but an experiment: Novelist Doron Rabinovici has taken apart the speeches of modern demagogues – Viktor Orbán, Matteo Salvini, Herbert Kickl –and stitched them back together, producing a distinct and focused piece of political theater. The four performers do nothing more – nor less – than read their words. But the effect is both disturbing and galvanising. The conclusion: What was once unspeakable, Rabinovici writes, is now the opposite, precisely because there are those who want to listen. 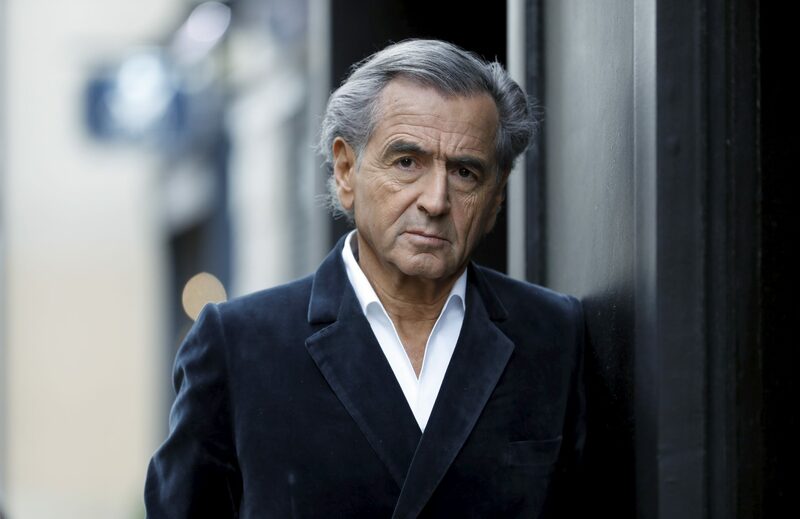 If the playwright is invisible in Alles kann passieren, French philosopher and political activist Bernard-Henri Lévy is front and center in his one-man cri de cœur, Looking for Europe. Adapted from a show he originally performed at Sarajevo’s National Theatre in 2014, he plays an author meditating on Europe’s travails in his hotel room while struggling to write an important speech due that evening. He arrived in Vienna Monday (Mar18) as part of a tour around Europe’s capitals that will end in Paris just days before the European elections. Looking for Europe is, in Lévy’s own words, a stream of consciousness, a resistance to nationalism and populism, as well as a passionate call for a liberal, democratic European future. 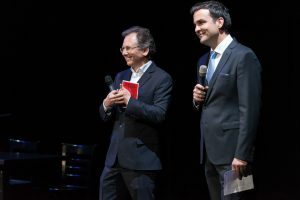 Lévy’s sold-out performance of Looking for Europe played the Theater Akzent on March 18. Tickets for the next performance of Alles kann passieren: Ein Polittheater at the Burgtheater on April 9 go on sale March 20.